A game plan was in place, as Tiger Woods reported after his long-awaited Masters win, and the follow-through was extraordinary as throngs of fans stood by to see the reawakening of their long-lost hero. As Masters.com stated, it was Tiger Woods' "Return to Glory". 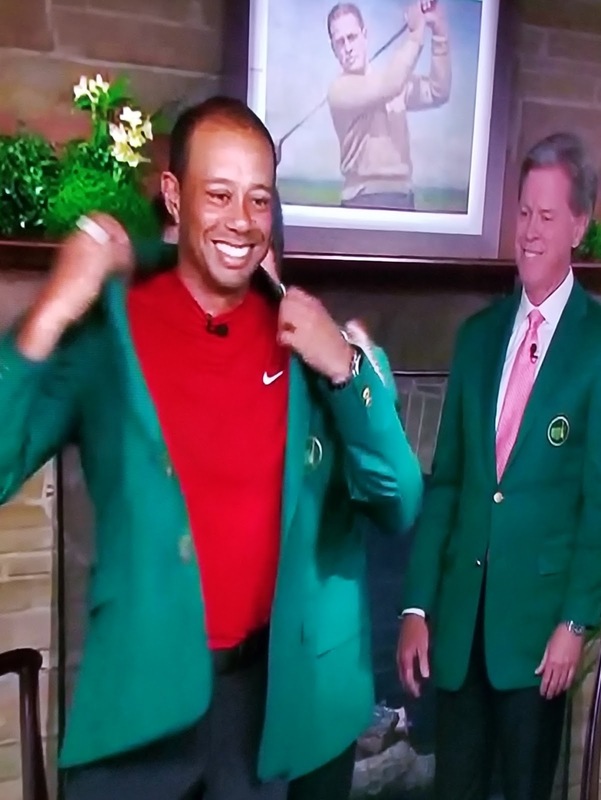 The 2019 Masters with Tiger Woods as a frontrunner reminded fans of days gone by, with steadfastness and purpose of action, shot-after-shot was placed almost effortlessly into scoring position. As Woods gained strength and momentum during the Masters, golfer upon golfer laid a path to his eventual win. Even with a bogey on 18, Woods could not be caught, and the triumph was both sweet and spectacular to watch. How did Tiger do it? He mentioned he had a game plan like all professionals do before they play in tournaments, but the average golfer rarely puts a plan into practice. 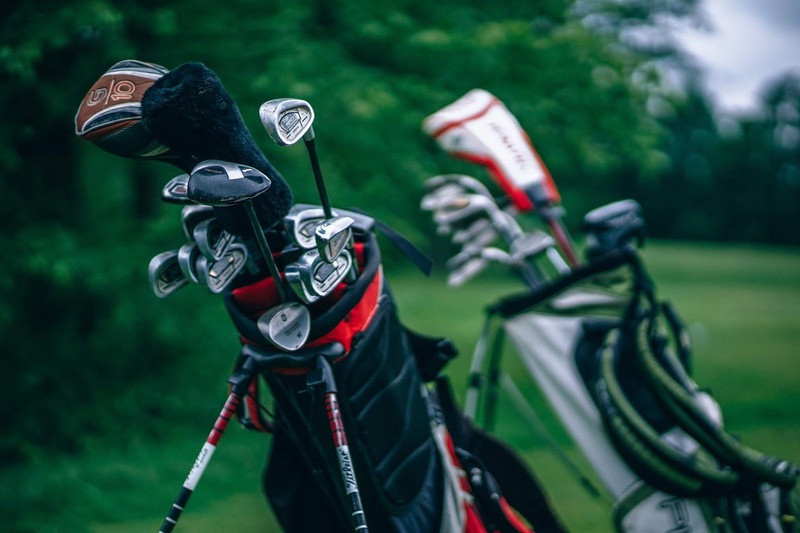 In this blog, Golf for Beginners takes a look at the three reasons Tiger Woods won The Masters and what we, as amateurs, can do to improve our own golf games. When interviewed after The Masters, TW said he, "kept control of my emotions, my shot placement...I still stayed present and focused on what I had to do today." How can these actions apply to us? 1. GAME FACE ON! Keep control over your emotions. As you could see from Tiger Woods, as well as from every golfer at Augusta National, there were no outbursts, and you could not tell whether or not they hit decent shots from the looks on their faces - keep your game face on throughout the round in spite of difficulties. 2. SHOT PLACEMENT: Know where you are going to place each golf shot. Tiger Woods took a controlled, aggressive approach - he looked at each hole, acknowledged the trouble areas and was safe yet aggressive when hitting each shot. Don't just hit the ball, think your way around the golf course and visualize each shot. 3. FOCUS: Remain focused on your intended goal. Where Tiger kept relentless focus, Molinari mentioned after his round that one reason for his loss is that he lost focus. 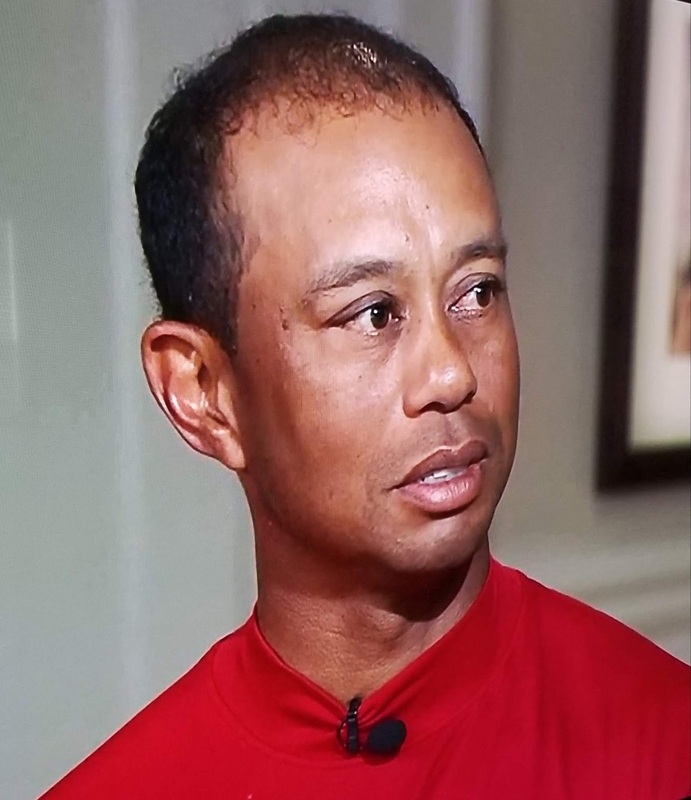 Tiger Woods won The Masters through focus, sheer will, and determination - if you follow his lessons, you may be able to lower your score around the course and stop any real blow-up holes. Follow Golf for Beginners on Twitter and feel free to post golf comments to this blog. Photos: NBC Sports after the round taken from my TV! Follow @Golf4Beginners on Twitter and friend us on Facebook! Online betting is hot and heavy with odds for whom will win The Masters in 2019 - projections from advanced simulations can go by the numbers but the fun comes from waiting for the unexpected to occur. There are the familiar favorites that you regularly see on the front page of the leaderboard - Rory McIlroy, Dustin Johnson, Justin Rose, and Tiger Woods - and there are also the 5,000 to 1 "long shots" which should also be considered as they were all major champions. Ian Woosnam, Larry Mize, Sandy Lyle, and Jose Maria Olazabal; these four former champions still have a chance at winning The Masters...even at odds upwards of 3,000-1, according to the Action Network. Woosnam won The Masters in 1991, Mize won thirty years ago in 1987, Lyle had his moment in the sun in 1988 and Jose Maria Olazabal donned the green jacket twice, once in 1994 and again in 1999. The chances of a sixty-something professional golfer are unheard of, putting Woosnam, Mize, and Lyle at a distinct disadvantage but, with strength training and better eating habits, a tour winner from the senior set is bound to happen. Olazabal could be the "comeback kid" from the list of former Masters champions! Just because a golfer is considered a longshot, don't count him out - in 1999, Olazabal had 3000 to 1 odds. Time may not be on his side, or with the older set but experience often wins out over long hitters on Augusta National as long as the short game (and putting skills) are exceptional. Enjoy watching The Masters this week and may the best golfer win! Who is your choice to win The Masters? Let us know in the comments section of our Golf for Beginners blog and tag us on Twitter @Golf4Beginners with your pick! Kevin Kisner picked away at his opponents during the WGC Dell Technologies Match Play Championship and, on the 16th green against Matt Kuchar, rolled in a spectacular putt to win. Prevailing after a first-round loss to Ian Poulter, Kisner defeated Francesco Molinari after the former Open Champion 3-putted on the 18th green. What "sealed the deal" for Kisner during the championships, and sent home the other opponents, were putting skills... or lack thereof. Did you know...you can tell a lot about a golfer's performance and handicap from the 25 foot putting "make" percentage? "...data found that players who tend to leave themselves a two-footer or less on a 25-foot putt generally corresponds with a scratch handicap. Players who leave themselves between two feet and three feet generally shoot in the low 80s, while players who finish between three and four feet (or more) generally shoot in the 90s or above." Sure, it's important to be able to stick the approach shot close to the pin so that you have a better chance of making the putt but you need to close the deal. Golf for Beginners has a few tips to make your putter shine during a round. Putting is about feel and comfort, not just design and function. The PGA asks golfers to consider shaft length, weight, balance point, and head design before you purchase so that your flat stick fits you properly. Find a grip that suits your putter stroke. Select a style of putter you are comfortable with - do you prefer a blade or mallet? Proper practice is essential at the range and just before you head out for your round as you can get a sense of the speed of the greens and visualize the lines in your mind's eye. Try this on the practice green: Hit lag putts to get the speed of the greens. Line up four balls and put the first ball three feet from the cup and then put a ball behind it every two feet. Before you leave, make every one of those putts in succession - if you miss a putt, don't putt the next one, instead, line 'em up again and start over - you will probably miss fewer putts when you play your round! In last week's Golf for Beginners column, the benefits of golf clinics were examined from the perspective of a group gathering, so that the gathering could discuss common problems and receive quick range fixes from the lesson. A speedy review of your golf swing issues at the time they occur as well as a quick drill to help you overcome that slice or pull can help you at the moment but then you must consistently practice that drill in order to make sure it becomes second nature...so you don't have to think about it on the golf course. Many people come away from a golf clinic with a better understanding of a certain problem they have but rarely remember to practice exactly what they have learned...but most of the folks on-hand were NOT beginners. For the golf beginner, a single lesson or series can help you get a more in-depth knowledge of your golf swing - it's spring so you want to get better at the game, don't you? and then he or she will ask you to take a few swings to assess your level of competence. Golf instructors have the option of using state-of-the-art technology to see everything from your set-up to ball launch speed but usually start a lesson by observing your golf swing. Golfers can also opt for a package consisting of three or more personalized lessons so an instructor can get to know you, to assess any issues you are having and know your future goals. Golf instruction is a process and, if you stay with it and properly practice what you have learned after each lesson, you should see improvements for the very next session. I spread out each my lessons over a week or two so that my body and mind have time to ingrain what I have learned. In conclusion, if you are looking to improve your golf game, whether you are a beginner or a seasoned amateur, the future of your golf swing is determined by lessons given by a qualified professional and proper practice ...take a notebook with you if you cannot remember everything you learned and stick with the process! Share your thoughts on this golf blog in the comments section of this golf blog and on Twitter @Golf4Beginners. Golf clinics are not only fun but they are also educational and may offer a quick fix (and an a-ha moment) when you need it most! After attending a local golf clinic last week at Grande Dunes Golf Performance Center, I realized that the problems faced by many golfers also resonate with me - I slice at times, am off balance, sway a little - basic issues amateurs face if not corrected regularly by a qualified teaching professional. Why should you attend a golf clinic? A group lesson is a great way to review the basics of the golf swing. At first, you receive an overview of the fundamentals to a reliable golf swing - grip, alignment, stance, posture (remember to GASP). Next, everyone hits golf balls while the teaching pro goes around to each station and, one-by-one, gives you the single best improvement you should practice for your particular golf swing at the moment he/she sees you. Sometimes, the fix is a real revelation! - Learn one step at a time and practice the first step. - Taking your lesson from practice to the golf course: How long does it take to translate the lesson to memory? It takes hundreds of golf balls to ingrain muscle memory and stop thinking about what you are doing! - Practice with a purpose: don't just go out onto the range and bang balls - think about the lesson and what you have learned and apply it each time you step up to hit a shot. If you break down the learning process into easier, smaller fixes, and practice regularly, your golf swing will improve and the golf clinic will have proved successful. Have you found a value to attending golf clinics? Let us know in the comments section of our Golf for Beginners blog and on Twitter @Golf4Beginners.